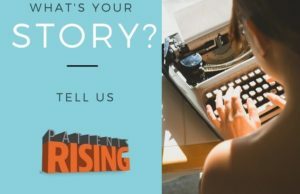 Patients Rising is a national nonprofit organization dedicated to providing support and education to people with chronic and life-threatening illnesses. We work with patients to advocate for access to the treatments, innovations and care they need. We stand up for patients’ rights and dignity. We advocate for timely access to the treatments patients need. We engage with patients, medical professionals and policy experts to have solution-oriented discussions and to keep healthcare transparent. We give a platform to patients and advocates to raise awareness of chronic and life-threatening illnesses. Our goal is to create lasting impact on the future of healthcare in the United States. We envision a healthcare system where no patient is deprived of access to the treatments they need when they need them. We provide a toll free number and an email address so patients can reach out with questions about all-things healthcare. Our advocates will provide answers or direction towards answers. Voices of value is a multi-media hub by patients for patients to share knowledge and advocate for the needs of their community. Patients share insights and present the true challenges of living with chronic and life-threatening illnesses. Organizing your healthcare – a practical toolkit for keeping track of all the things necessary to navigate your care after a diagnosis. Financial planning for chronic illness – a long view at cost saving measures and financial management to preserve economic health during the pursuit of mental and physical health. Considering Clinical Trials – an inclusive review of the pros and cons of participating in clinical research as an avenue of treatment. Patients Rising Now works at community, state and federal levels to activate patients in support of reforms and legislation aimed at advancing patient access to and affordability of healthcare.